A research team led by the National University of Singapore (NUS) have developed an economical and industrially viable strategy to produce graphene. The new technique addresses the long-standing challenge of an efficient process for large-scale production of graphene, and paves the way for sustainable synthesis of the material. 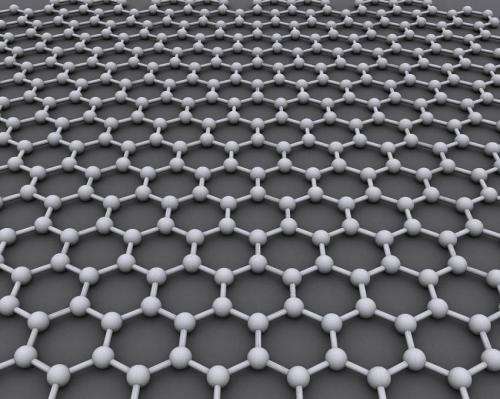 The resulting graphene slurry be easily separated into monolayers when required or stored away for months. The slurry can also be used directly to 3-D-print conductive graphene aerogels, an ultra-lightweight sponge-like material that can be used to remove oil spill in the sea. Professor Loh Kian Ping from the Department of Chemistry at NUS Faculty of Science who is also the Head of 2-D Materials Research at the NUS Centre for Advanced 2-D Materials led the research. He said, "We have successfully demonstrated a unique exfoliation strategy for preparing high quality graphene and its composites. Our technique, which produces a high yield of crystalline graphene in the form of a concentrated slurry with a significantly smaller volume of solvent, is an attractive solution for industries to carry out large scale synthesis of this promising material in a cost-effective and sustainable manner." EVERY ! time I hear of another great breakthrough in technology from Singapore I Laugh because its ALWAYS a copy from one of the real great universities. Already done in 2015 Thanks MIT !